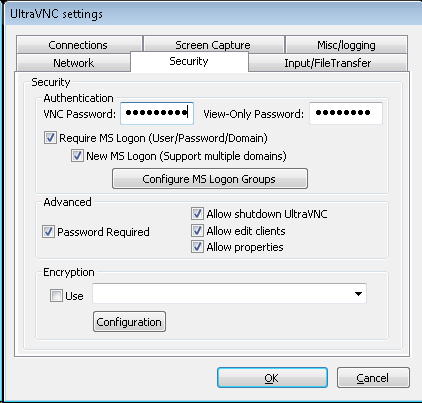 This article describes the process which I have used in order to deploy UltraVNC to Windows 7 Clients using Group Policy along with pushing out a specific UltraVNC configuration allowing your domain username and password to be entered as the VNC's server authentication method. 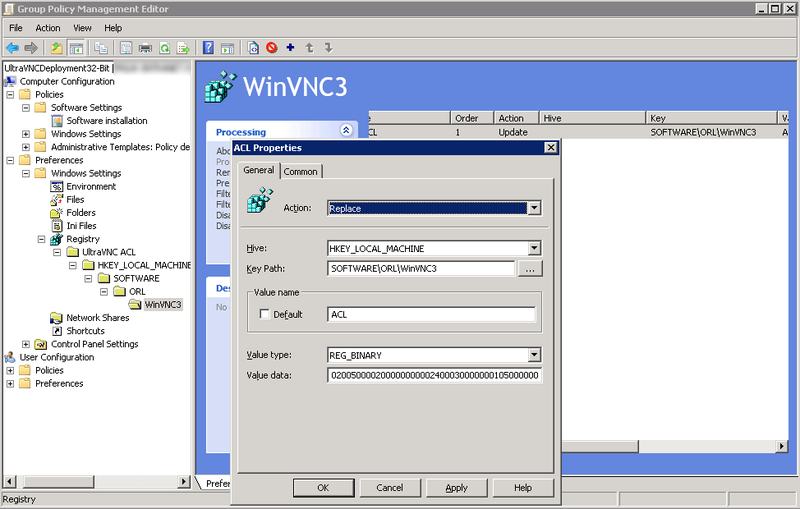 If you have a lot of machines on your network and wish to save time deploying a VNC solution with a standardised configuration then this guide should help. 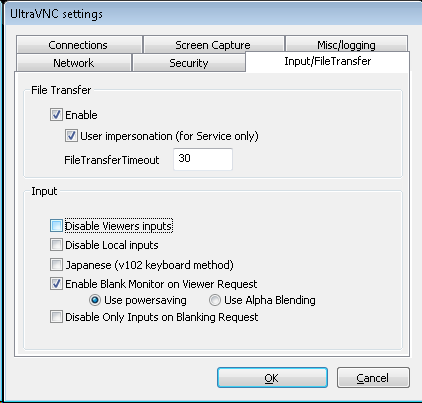 UltraVNC is a very useful remote access software application (similar to TeamViewer, LogMeIn or GoToMyPC, but FREE!) that can display the screen of another computer on your monitor as well as enable remote control via keyboard and mouse input. 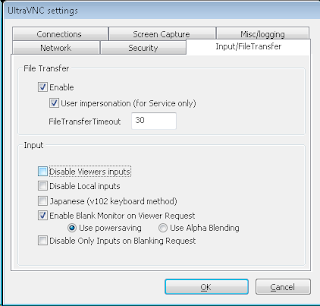 Unlike the standard Remote Desktop Connection tool that comes with Windows, these VNC style programs allow your remote sessions to viewed by the remote computer's user rather than locking their screen. 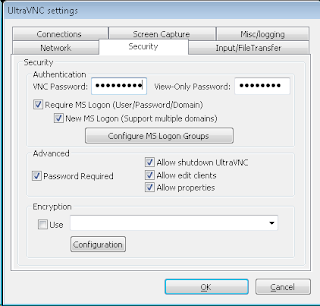 In addition, UltraVNC can be configured so your domain username/password is all the authentication required to access client PC's on your network. 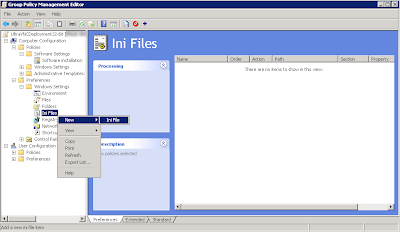 VNC programs can be a valuable tool in a IT Support environment as you can show users how you are fixing their problem as if you were sitting next to them at their PC - perfect if you are supporting remote users at home, abroad, too lazy to leave your chair or are scared of face to face human contact. 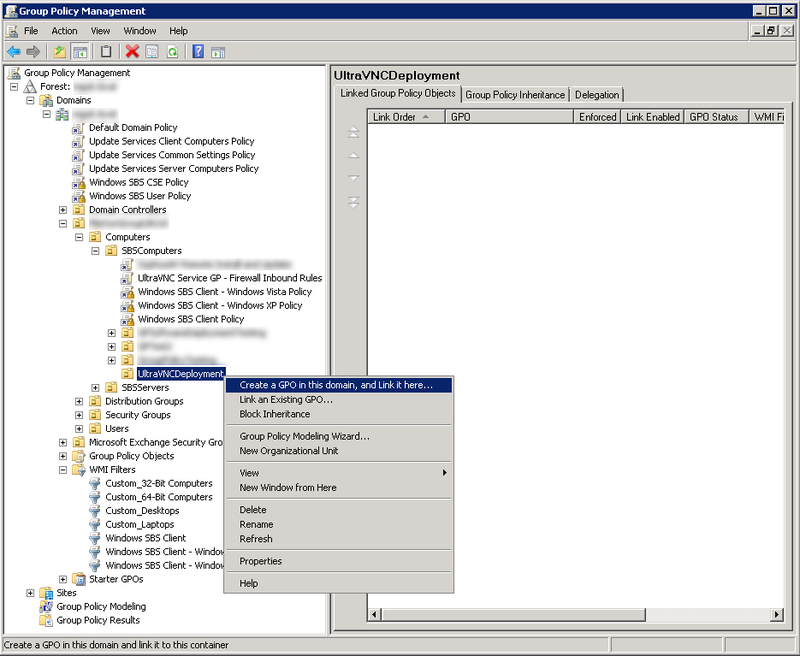 Why Deploy Using Group Policy? 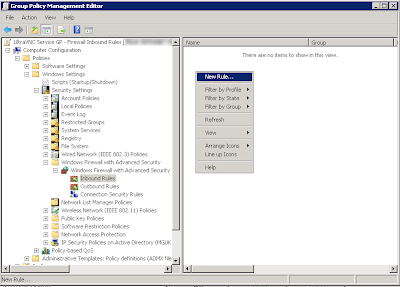 If you have a many computers on your network and within your server domain, you can quickly set up a rule to deploy the UltraVNC software automatically to all machines. 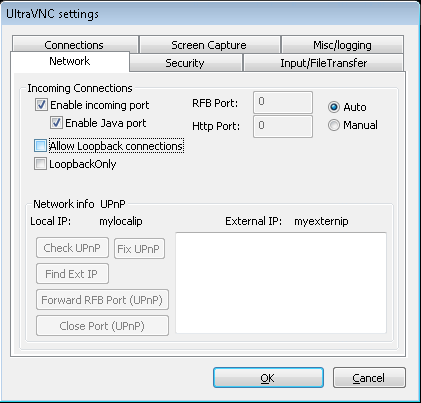 You can also standardise the UltraVNC configuration of these machines making support of your network and adding new machines an easier job. Test PC: Windows 7 (32-Bit) - (Domain member) *Can be a 64-Bit PC! 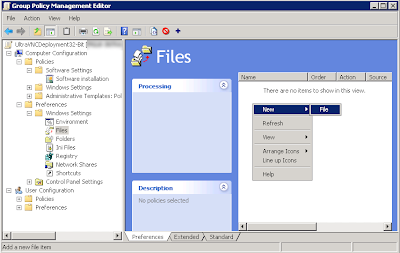 This guide should also apply to many Windows Server environments and can also be used on some Windows XP Clients (although Widows XP Client Side Extension Pack is required). Now you have downloaded the required UltraVNC MSI install file(s), you will need to install the UltraVNC software to your Local Machine and a Test computer (both domain members) in order to create your desired working UltraVNC configuration profile that will, eventually, be deployed to all your target computers via Group Policy. 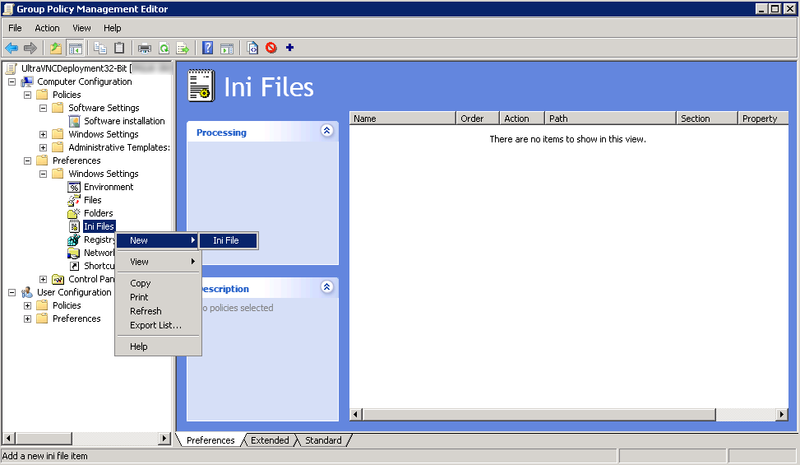 You can choose to install the viewer only on the local machine and the server just on the client PC if you wish. 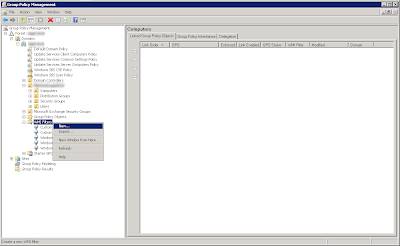 I installed both components on the local and test pc. 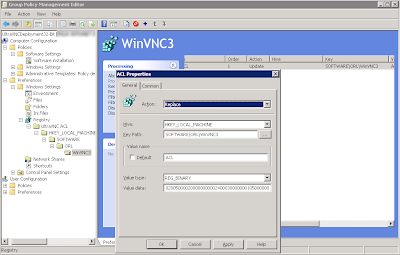 Enter a random VNC Password (ensure it is fairly complex help keep your systems secure). 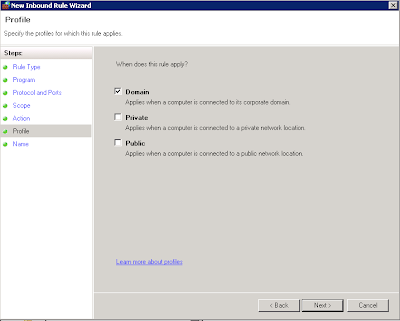 Note: in my configuration I will not be using this - I am looking to use my domain username and password. 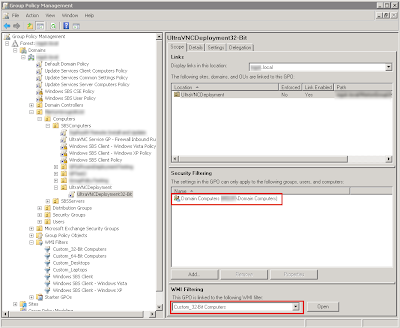 Hit configure MS Logon Groups and add your domain user(s) who require permission to connect to your VNC clients (i.e Your domain account!). 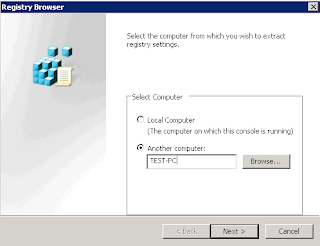 Depending on your environment, at this point, you will probably find that you can not connect to your client pc quite yet as you need to configure the firewall. 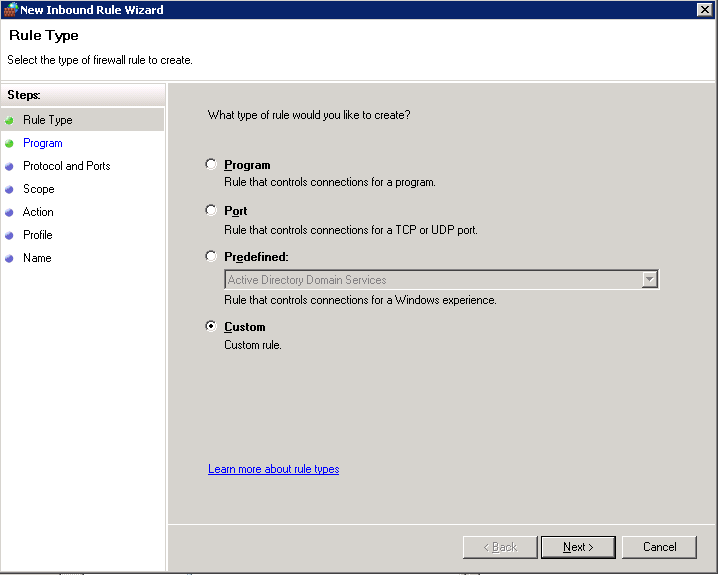 The next step explains how to roll out required firewall rules across the network. 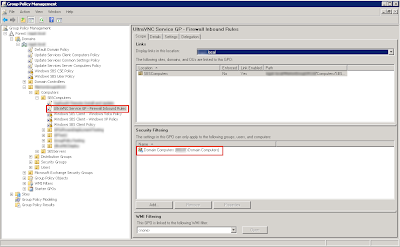 In my environment, Windows Small Business Server 2008, I was unable to disable my Domain level firewall in order to connect to the test PC. 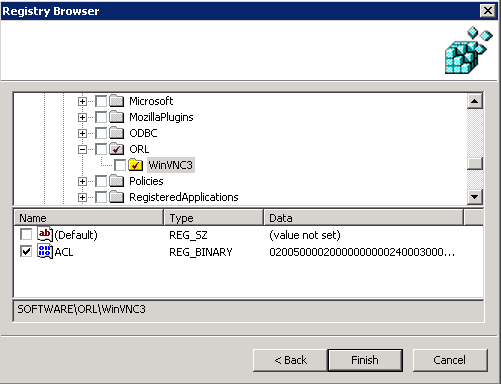 This was due to a SBS2008 default Group policy [Windows SBS Client Policy] which set the domain level firewall to always on. 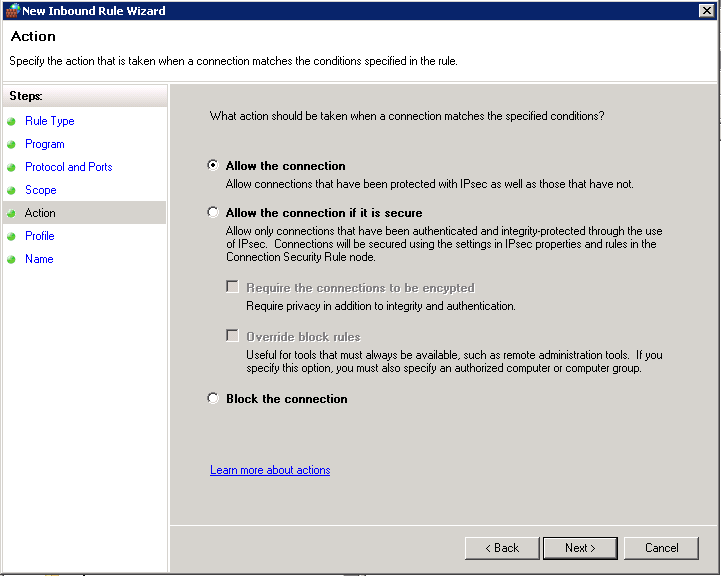 This particular rule could not be over-ridden even when logged in with an admin level account on the test pc (a good thing!) 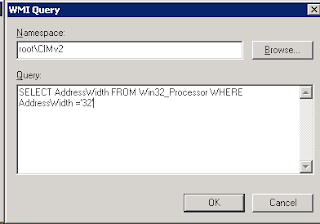 unless I removed the rule. 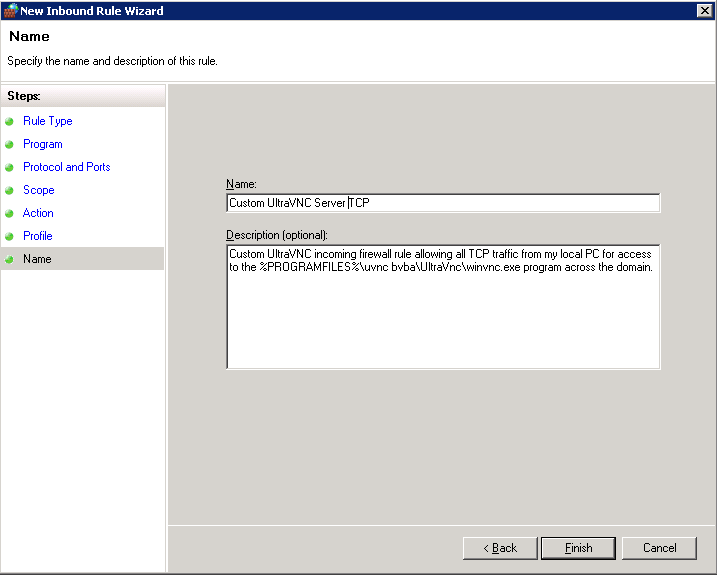 Open up all TCP ports for the C:\Program Files\uvnc bvba\UltraVnc\winvnc.exe (VNC Service) restricting access to my Local Machine's IP address (192.168.1.100) within the domain. 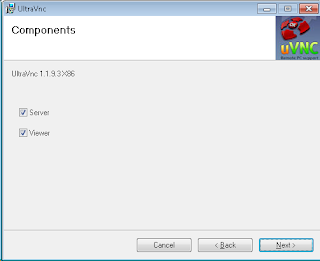 Open up all UDP ports for the C:\Program Files\uvnc bvba\UltraVnc\winvnc.exe (VNC Service) restricting access only to my Local Machine's IP address (192.168.1.100) within the domain. 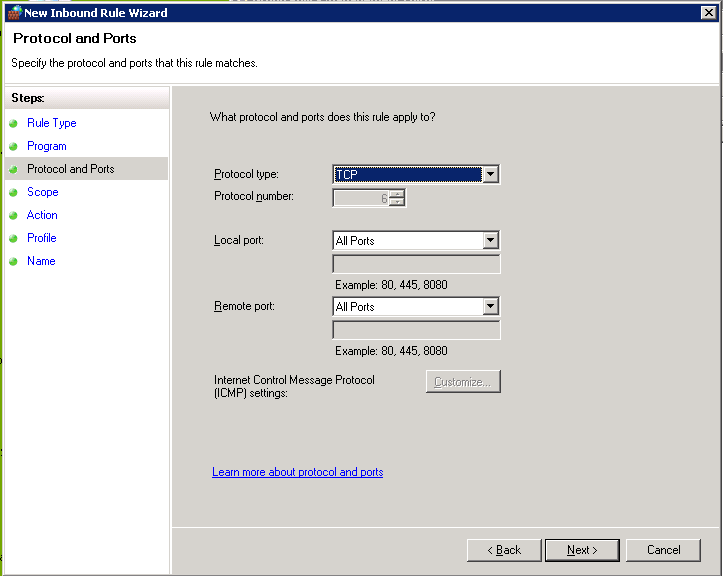 If you know the exact TCP or UDP ports in use, I would be interested in listing them specifically to improve security, but for now, the above rules should do for now since the VNC Service will only be accepting the specified domain user accounts and the IP addresses (within domain) to connect. 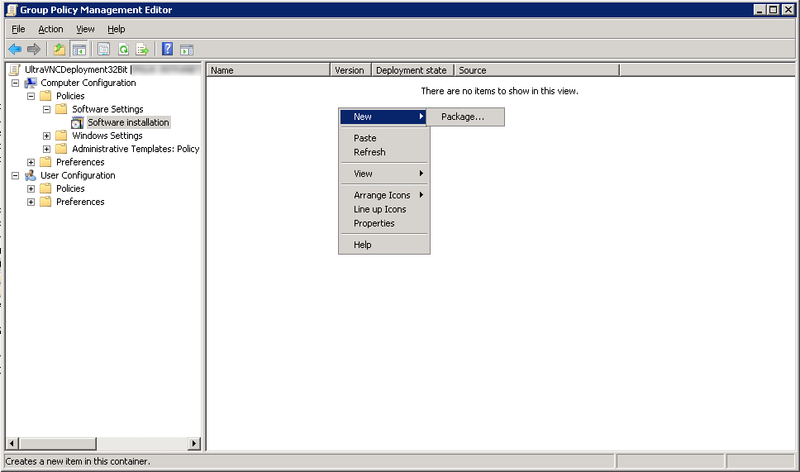 Under Group Policy management, create a new Group Policy Object in the Organisational unit containing the computers you wish to deploy UltraVNC to. 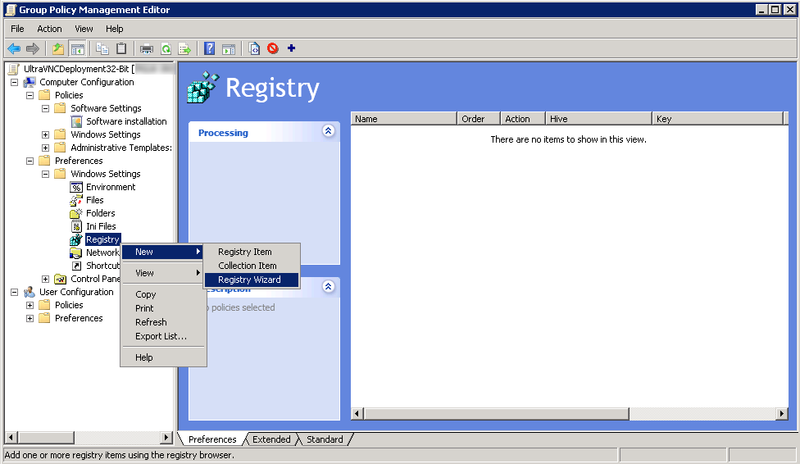 ...and do not use a starter template. 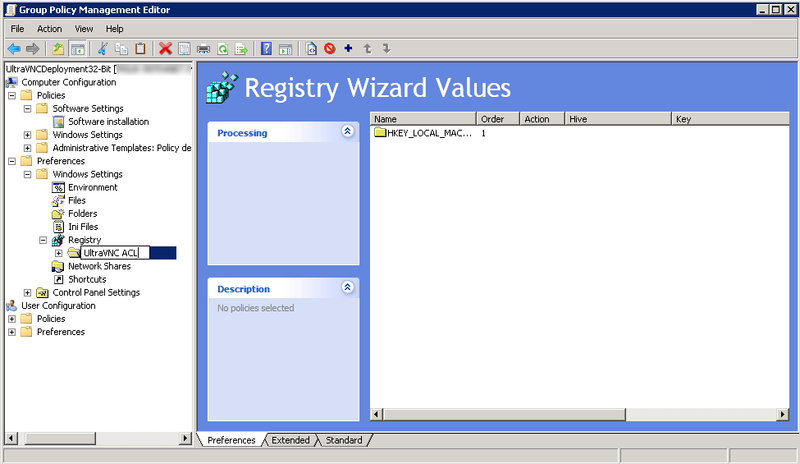 Once you have created the GPO, update the Security Filtering from Authenticated Users to Domain Computers. 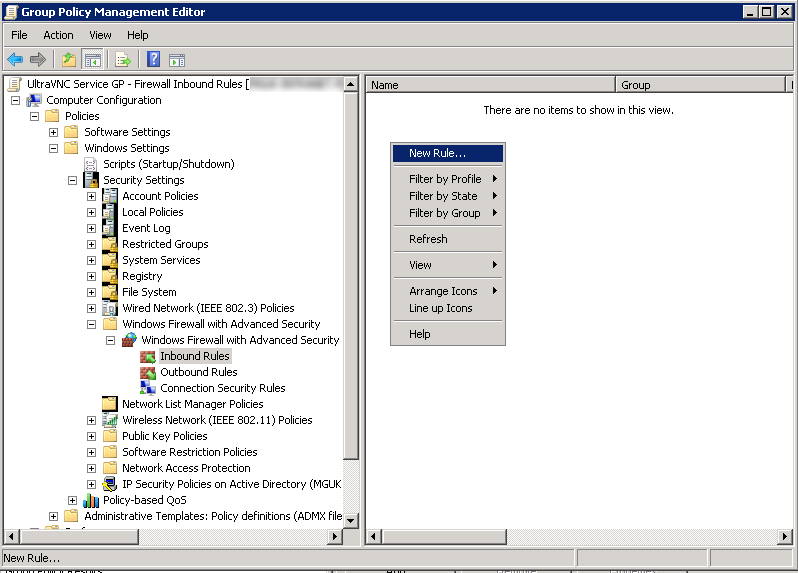 Browse to Computer Configuration > Policies > Windows Settings > Security Settings > Windows Firewall with Advance Security > Windows Firewall with Advance Security > Inbound and then create a new rule. 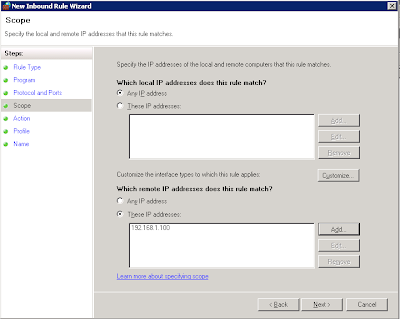 Since I have a fixed IP address on my network and to lock down VNC connections as much as possible, I want to specify that my Local Machine (e.g IP: 192.168.1.100) is the only IP allowed to connect in. 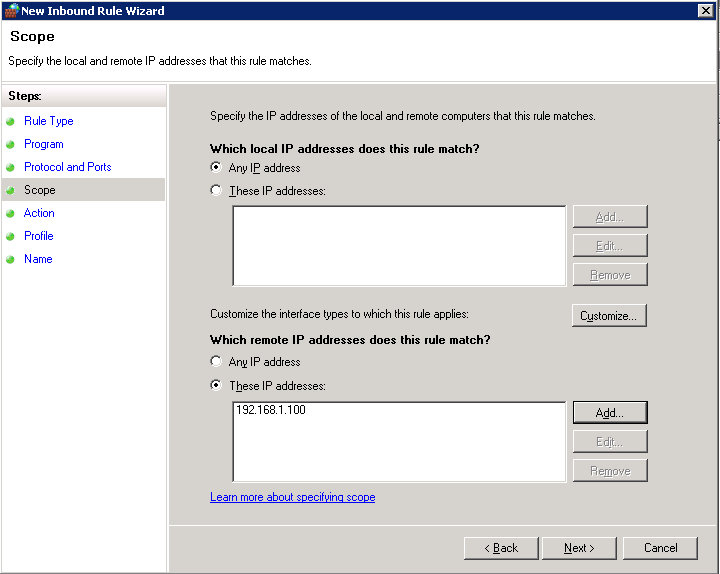 Therefore, under the Scope option for Remote IP addresses, select These IP addresses radio button and click Add, entering your local computer's fixed IP. 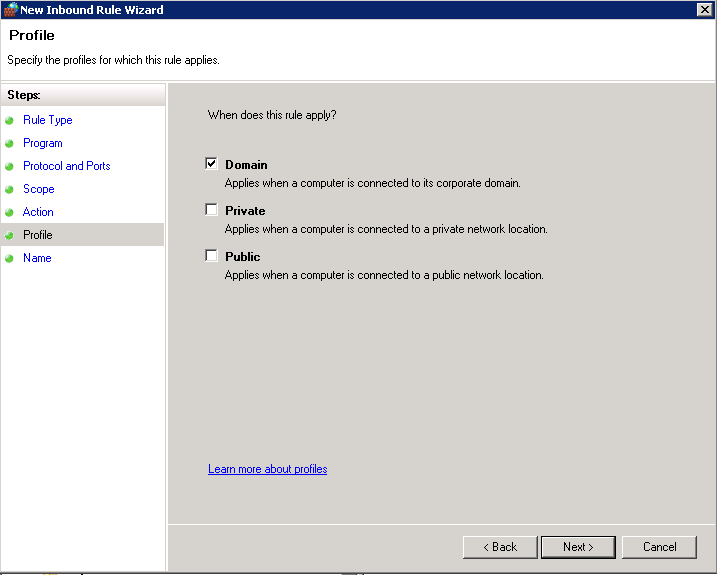 Under the Profile, I selected the firewall rule to apply to the Domain only (untick Private and Public). 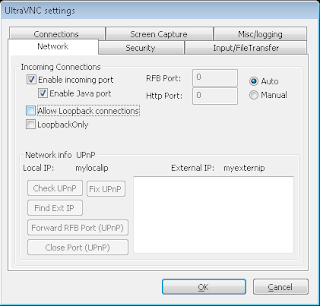 Description: Custom UltraVNC incoming firewall rule allowing all TCP traffic from my local PC for access to the %PROGRAMFILES%\uvnc bvba\UltraVnc\winvnc.exe program across the domain. 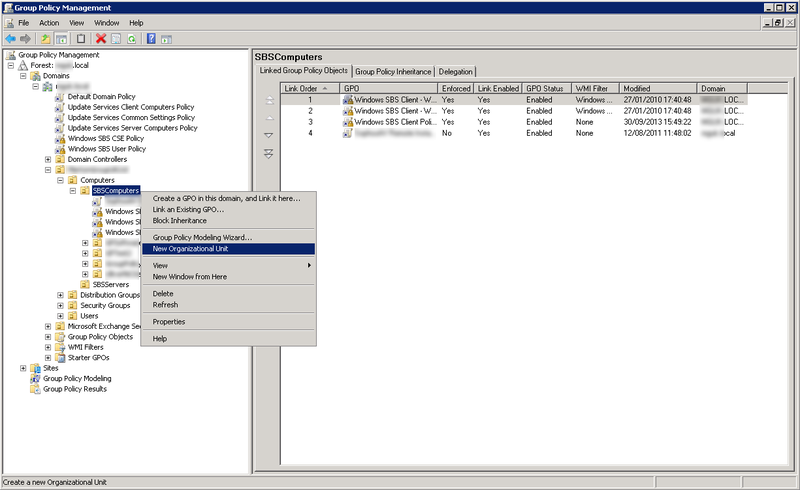 Now the firewall rules have been configured via group policy, you can now close the Group Policy Management Editor window. 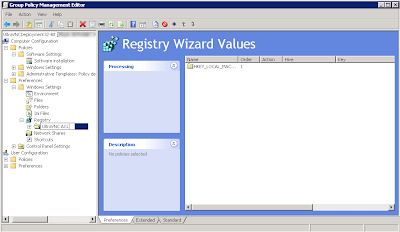 This can be run either from PowerShell or a DOS window. 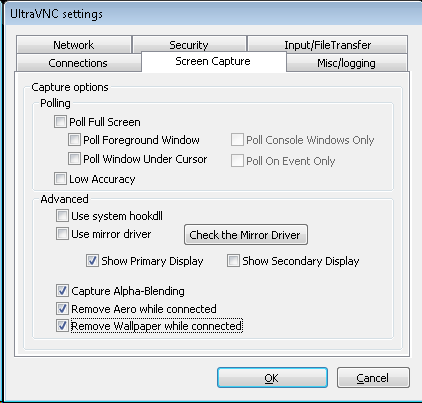 At this point you should now be able to connect to your Test PC from your Local Machine by running the UltraVNC Viewer program from the Start Menu. 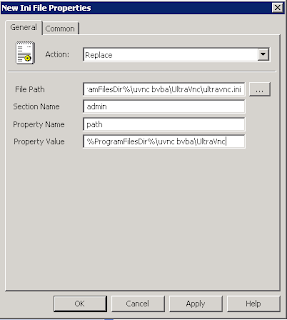 To prevent UltraVNC's shortcut icons being displayed to end users of the Group Policy roll out, we can edit the Installation file in order to remove a few Windows short cut registry entry references. 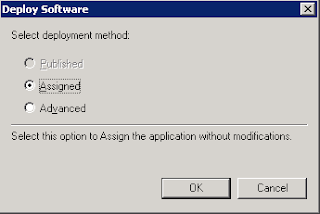 This can be achieved using the Microsoft Software development tool, 'Orca'. 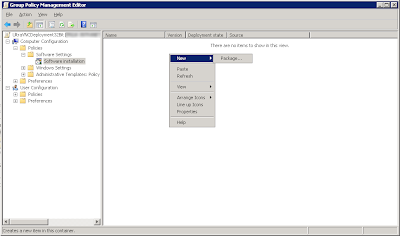 The setup process will try and install many other programs that you may not want, so at the bare minimum, to obtain the Orca program, you can de-select all the installation options and just tick the option for Win32 Development Tools (Under Developer Tools > Windows Development Tools). 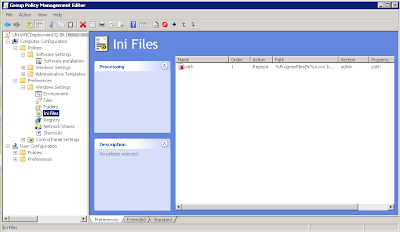 Run the Orca.msi installer and complete the setup process. Now Orca has been installed and the UltraVNC MSI install files have been backed up, open the Orca program from under the Start Menu. From Orca's File Menu, select Open and locate the UltraVNC msi file you previously downloaded. 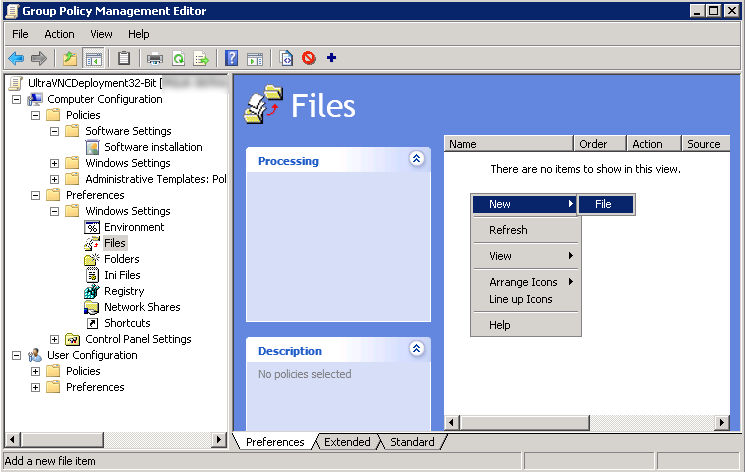 The table properties that were highlighted blue should then disappear. You can now save the updated UltraVNC MSI installer using the file menu File > Save option. Because my network consists of both 32-Bit and 64-Bit client pc's within the same Organisational Unit and I want to use the corresponding MSI installer for these machines I will deploy UltraVNC using two separate Group Policies with software installation references to either UltraVNC MSI file. 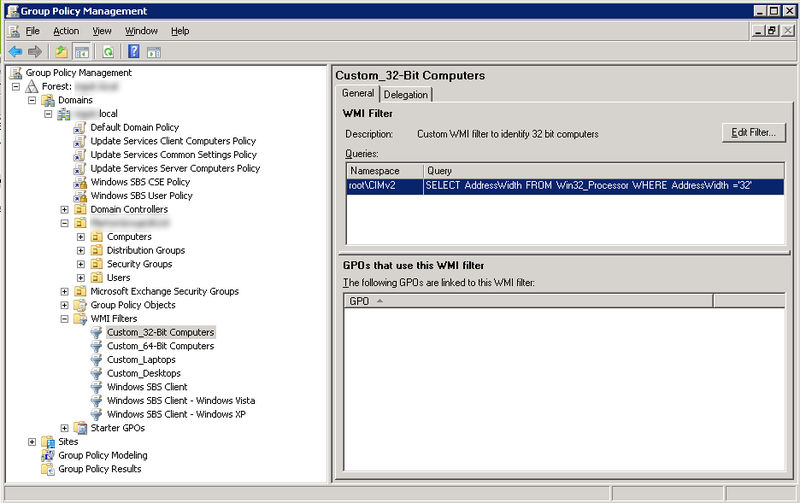 These Group Policies will require a WMI filter applied to ensure 32-Bit systems install the 32-Bit MSI and the 64-Bit MSI for 64-Bit machines. 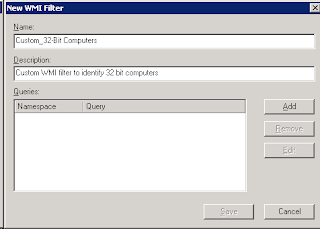 By doing this, we also ensure the program path specified in the firewall group policy (step 3.1) remains correct as 64-Bit machines will not be installing the 32-Bit MSI resulting in the installation directory being C:\Program Files (x86). 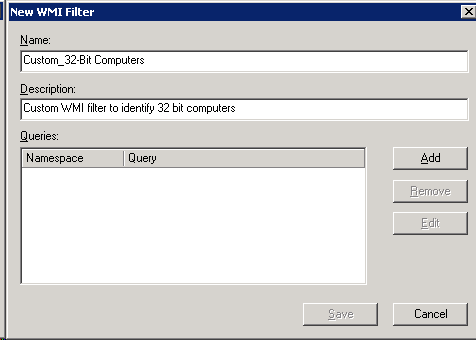 Hit OK and then Save your new WMI Filter. 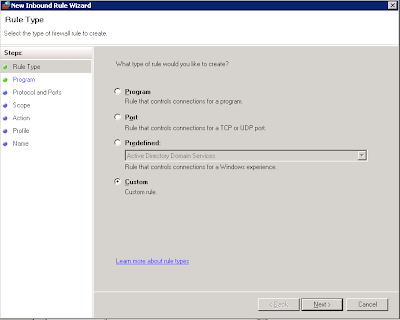 In this step I will create a new Organisational Unit for deploying UltraVNC. By completing this step and the next, we should simply be able to drop computers into this folder to Deploy UltraVNC to when they next boot up. 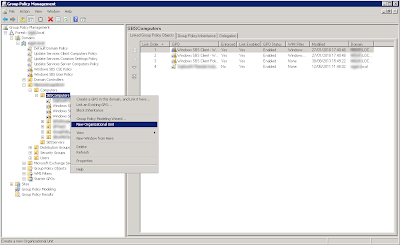 On the server, create a new Organisational Unit in Group Policy Management by right clicking the OU that contains your current computers (For me, in SBS2008 this is 'Computers\SBSComputers' but you may need to refer to Active Directory if different) and selecting New Organisational Unit. 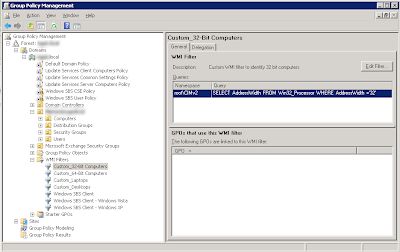 Change the Security Filtering from Authenticated Users to Domain Computers and set the WMI filter from <none> to the Custom_32-Bit Computers filter that was created in step 5.1. 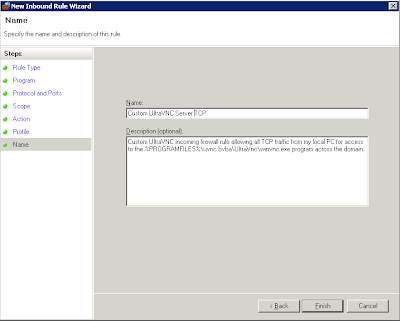 The next step is to add the UltraVNC configuration file. 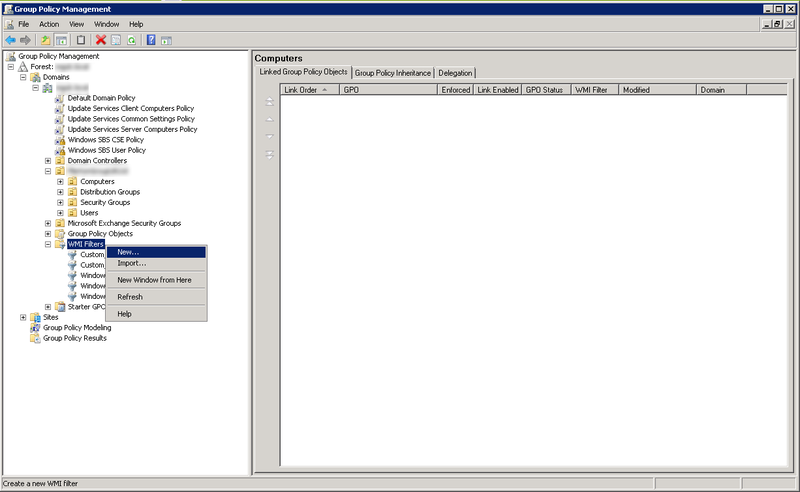 Still in Group Policy Management Editor, Browse to Computer Configuration > Preferences > Windows Settings > Files and right click and select New. 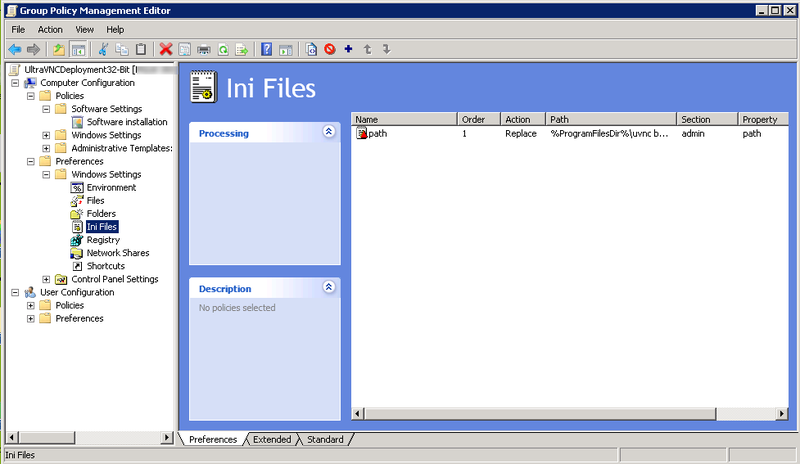 Attributes: Leave Archived ticked (default). 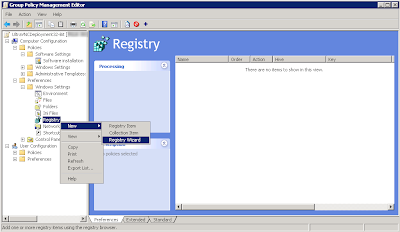 Now select to get the registry data from another computer and specify the name of your Test PC and then hit next. To enable Windows 7+ computers to accept CTRL+ALT+Del logon command from UltraVNC, browse to Computer Configuration > Policies > Administrative Templates > Windows Components > Windows Logon Options > Disable or enable software Secure Attention Sequence in Group Policy editor. 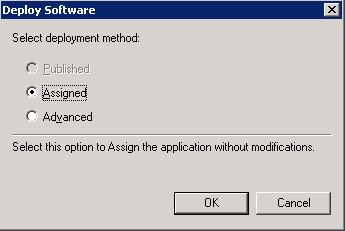 Select Enable and specify Services within the drop down. 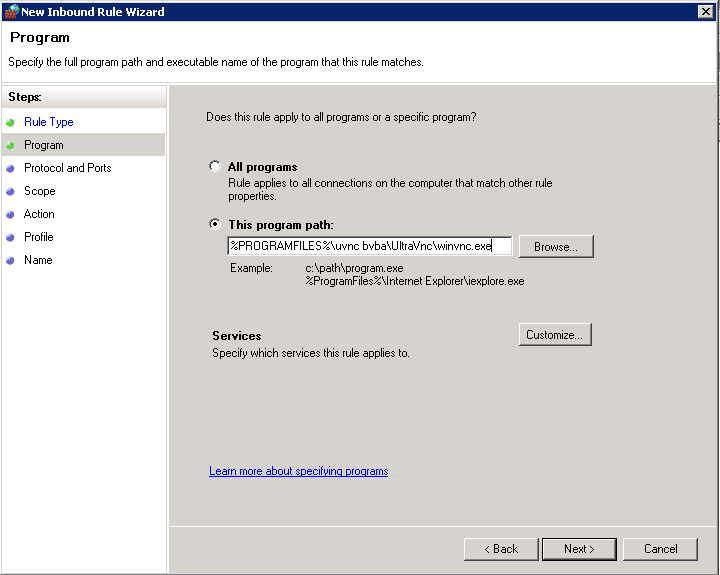 To help ensure the UltraVNC software is deployed by group policy, it is worth configuring the following settings to add a delay on the log on screen allowing time for the software to be installed. Under Computer Configuration > Policies > Administrative Templates > System > Group Policy. 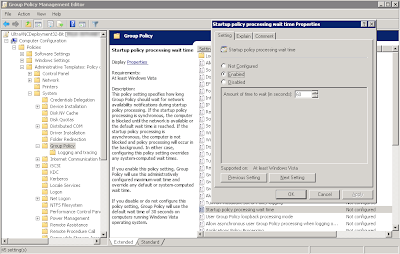 enable the Starup policy processing wait time and set the amount of time to wait in seconds to 60. 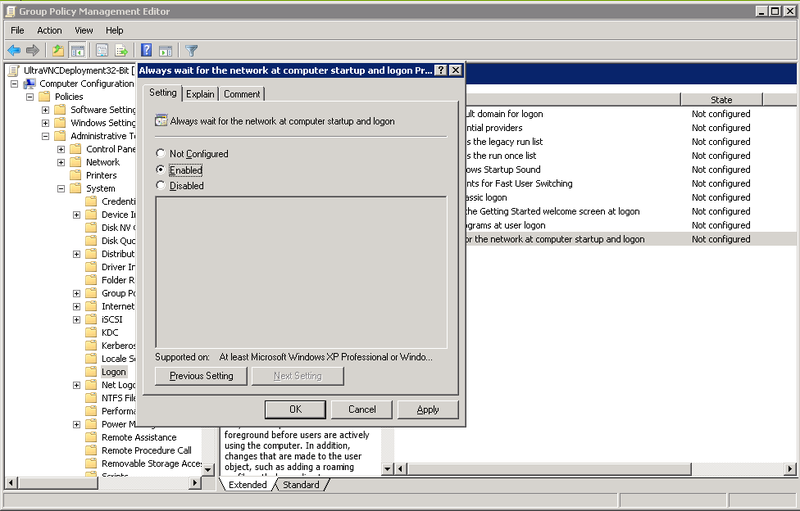 Under Computer Configuration > Policies > Administrative Templates > System > Login, set the Always wait for the network at computer startup and logon option to enabled. 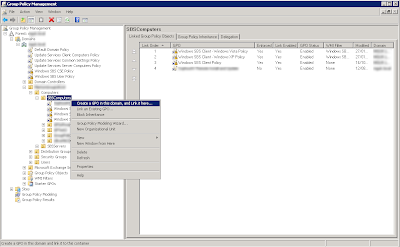 Hit OK and then close the Group Policy Management Editor. 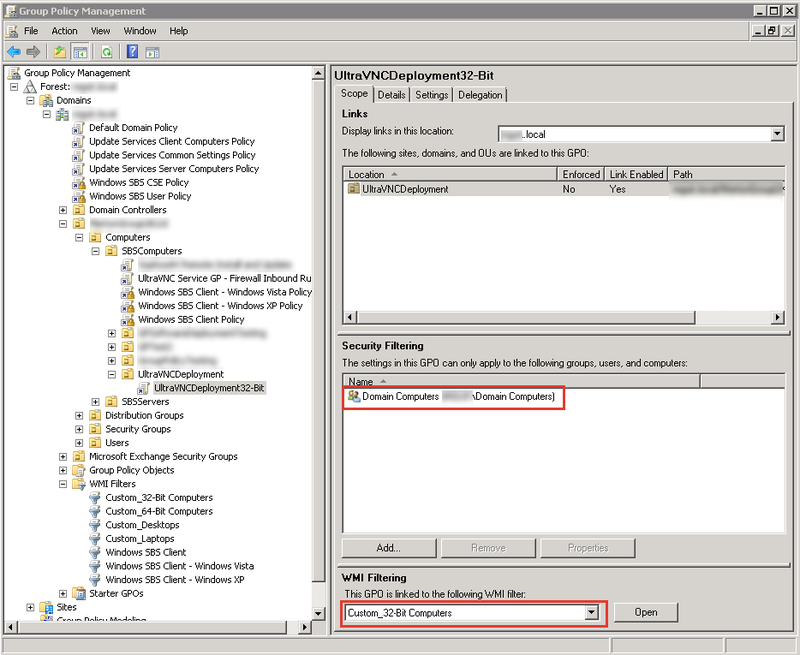 You will now have to repeat all of step 5.3 but for 64-Bit computers, this will involve creating a Group Policy Object called UltraVNCDeploymen64-Bit using the 64-Bit WMI filter and specifying the 64-Bit MSI file instead of the 32Bit one. 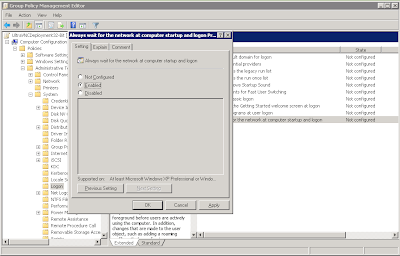 Once you have completed the above, dropping computers in Active Directory to the UltraVNCDeployment Organisational Unit should force those machines to install UltraVNC, adopting the settings configured above. 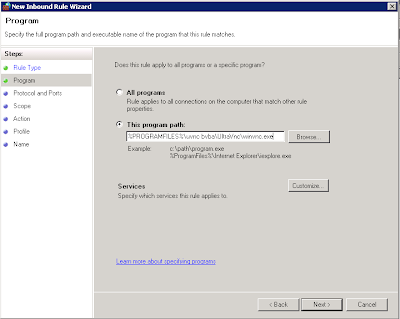 You might find that you have to run GPUPDATE on the machines to get the latest group policy settings before rebooting the clients to trigger the install. 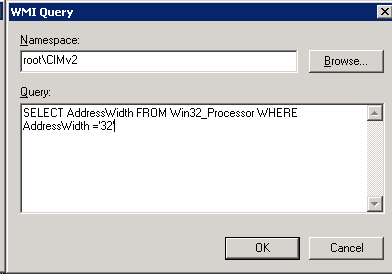 Once installed, you should be able to take these computers out of the UltraVNCDeployment group and put them back to where they belong. 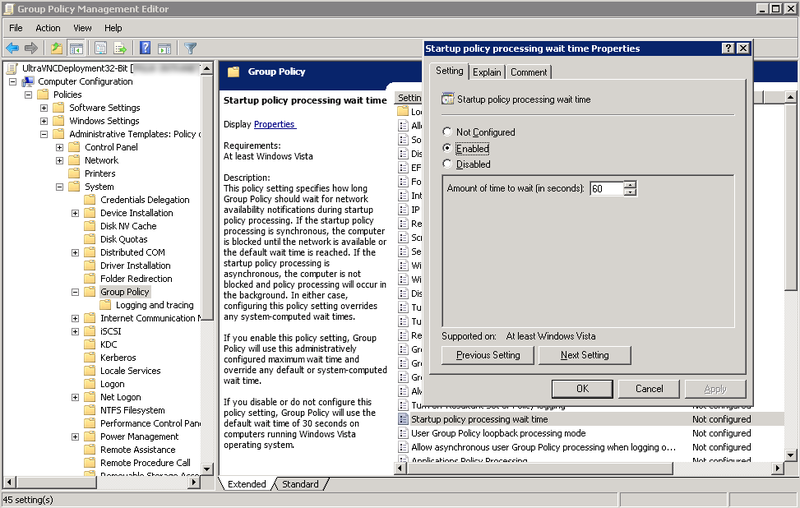 This will help reduce the login delay caused by the group policy settings. 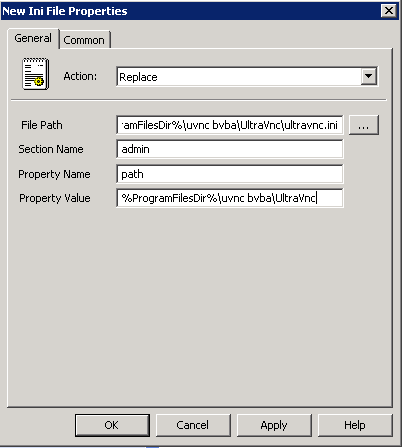 You might also want to alter the above configuration so machines taken out of the Deployment folder still have the UltraVNC config file forced out to them in case end users try and change the settings. If you have any feedback, questions or improvement suggestions about the above article, please use the message board below and I will try and get back to you.